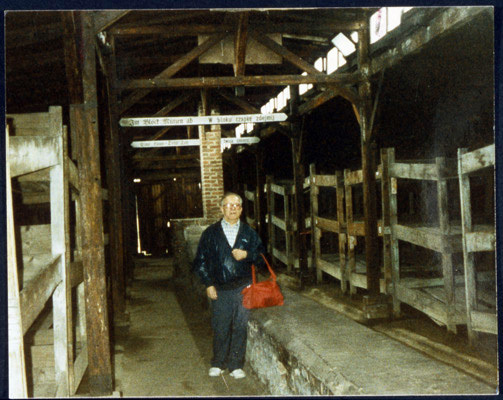 Pincus in Birkenau, Barrack #19, Auschwitz, Poland; 1987. This is the barrack where Pincus stayed for two years. The first full bunk from the right, on the bottom, was his bunk.